What Is It Like Being As Pure Awareness? You are not having the experience, You Are the Experience! You are not having the vision, You Are the Vision, the Whole Consciousness, in this case, the Nonliteral Perspective (Oneness/Nonsensory Perception/Nonego)! Yet the literal perspective (duality/sensory perception/ego) is still there, outside of You, as it were, like a shadow (form), or a reflection (thought) in the mirror (mind), but seeing, living, being through it, so to speak, you, being also the person, remain nonattached. That is to say, the Center of Consciousness is everywhere nonliterally, but nowhere literally, as both Are the Same (Whole Consciousness/Intubeing). Indeed, emptiness and fullness Are the Same. All opposites Are the Same Unity, as there is no separation in pure Awareness; there is only the Knowing, Seeing, Being Awareness itself, or in itself (Absolute Relativity/Totality of Being). Interestingly, being as pure Awareness, there is no personal I (me) to speak of. Thus, as you are not making any claim on anything, there is no personal memory of you doing, or saying, anything; it is as if everything does itself, as if there is only the Doing, the Seeing, the Being itself. That is what Is… Is pure Awareness, pure Spirit, pure Intelligence, the Real You, the Real Us, the Real God! You, being as pure Awareness, expand and contract consciousness without fear. 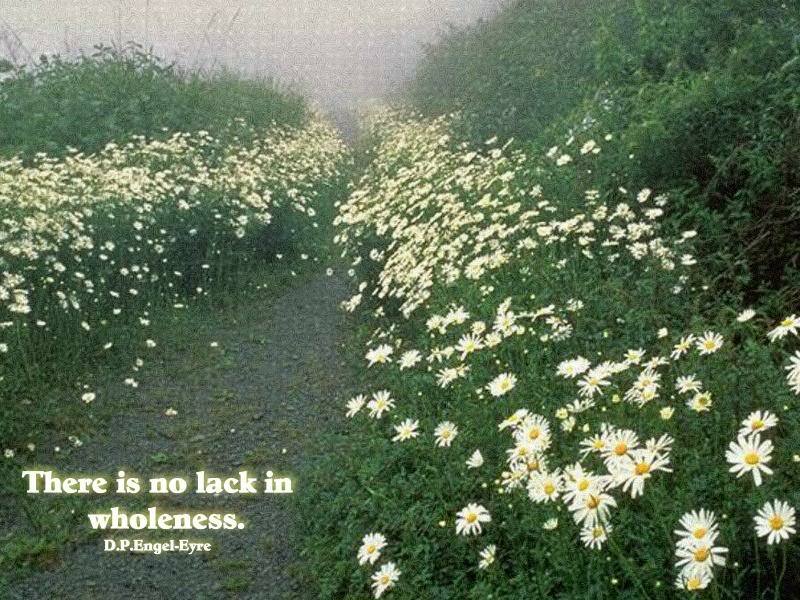 Thus, instead of having, you Are the very Sense of Well-Being (Whole Being). Nevertheless, as long as you retain a material body, you will pass in and out of Whole Consciousness. But over time, the personal aspect of you, being One with the Whole, will realize that it does not matter. A remnant of pure Awareness stays with you as a Presence in the forehead between the eyes, and thus using every thing-event as a means of inverting the mind and returning to the Source (Center), which is your (our) innermost Being, you come to fully (selflessly) Realize that the material world (divided consciousness) has no life, power or cause by itself, and need not fear any outcome. Such Is Liberation, Enlightenment…and your (our) true Self (Selfless)! Being as pure Awareness is like Being Within everything and everything being within You.